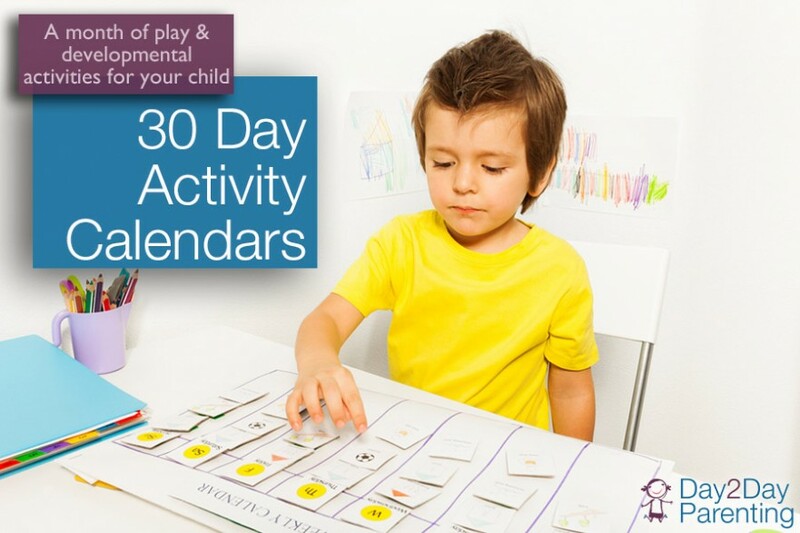 Home 30 Day Activity Calendars! Looking for some new play ideas for your child? 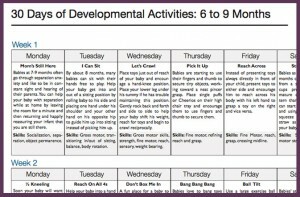 Download our free 30 Day Activity Calendars! 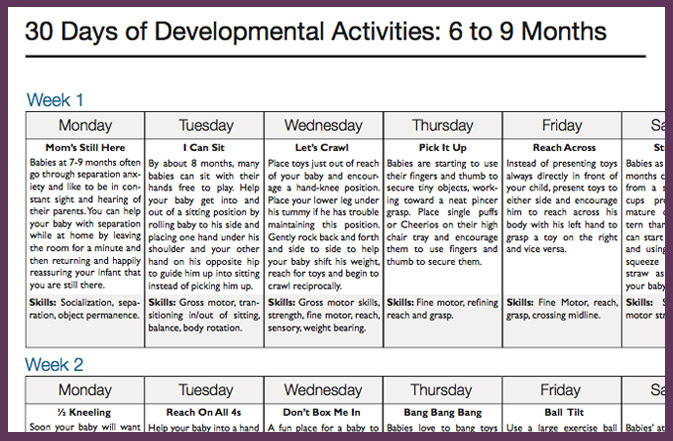 You’ll get 30 days of play and activity ideas that help encourage important developmental skills. Each calendar is designed for age groups from newborns up to 3 year olds. Just click on the calendar that corresponds to your child’s age range below to download it!